Viva Decor SILVER Inka Gold Beeswax Polish 2.2oz 902 at Simon Says STAMP! Inka902 or 612207/3.2 This item is on reserve until If you would like to reserve this item now, you may purchase it now with the rest of your order. We will hold your order now and ship your entire order as soon as this item is back into stock. If you would like your order to ship now, please place this item on a separate order. Success, Viva Decor SILVER Inka Gold Beeswax Polish 2.2oz 902 has been shared! Viva Decor’s Inka Gold is a revolutionary product that produces an amazing metallic finish without any toxic chemicals! With beeswax as one of the main ingredients, Inka Gold is safe and easy to use in all crafting and home decor projects. Just rub it on and polish! -Excellent for refinishing or accenting furniture. -Also great for paper mache boxes, chipboards, paper crafting and much more. Can be used on wood, cardboard, paper, ceramic, canvas, polymer clay, plaster and more. 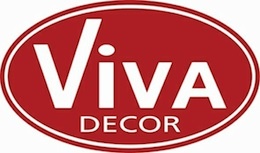 Viva Decor stands for innovative products for surface designs. The effect paints developed and produced by Viva Decor are mainly water based; therefore tools can be easily cleaned with water. All color shades of the same product are mixable. Depending on the product, different surface effects are achieved and have a multitude of combination possibilities. Highest product quality and stylish color coordinated decorative and effect paints offer a fascinating multitude of creations for your home. Immerse into our world of colors, experience the alluring luster of high-quality color pigments and let yourself be enchanted by unique structure effects.